Last year when we got chickens I tried to find out if chickens really would peck your eye out. Various search terms turned up nothing useful. I decided perhaps I was being overly nervous. 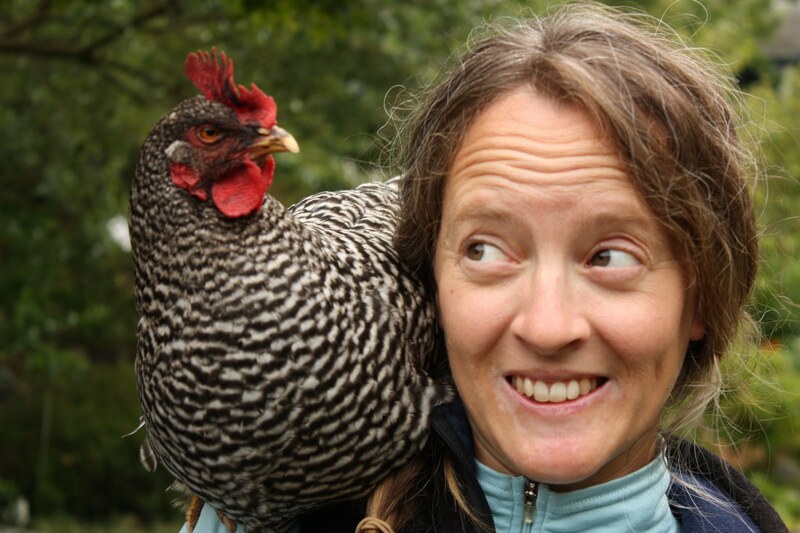 When I crouch down, Rocky, the Head Hen, wants to jump on my back and stand on my shoulder. I thought this was kinda cute, though obviously from my face I was still a little worried she might peck me in the eye. Last week she did just that! Can’t say if she was being Dominant Chicken or just found it an irresistible target, but down came the beak. I shut my eye reflexively, but can’t say if it was before contact. Nothing more than a little spot of broken capillaries, but no more hen-on-the-shoulder games for me. Thanks for the warning, we have 3 small children 3, 4 and 6 who like to play "pirate" with a parrot on their shoulders. They've had a lot of fun with the 4 chicks that are now 3/4ths the size of full grown chickens and getting more aggresive. I'd be sick if one of my kids got pecked in the eye. Glad to be of help. For all those with kids: I think it's a good idea to let your kids know they might get pecked by a curious or dominant chicken. Aggression aside, chickens will peck at anything interesting in the hope that it is food. They peck at shiny rings on hands, moles on skin, fuzzballs on clothes. You can train your chickens not to peck you generally (smack! ), but they may not be able to help themselves when something looks particularly interesting, like your eyelashes. So it's not that you can't let your kids have a chicken perch on them (because it is endearing), but that they have to be careful, especially near their faces. Ultimately, the best way to avoid a face-peck is to not put the face in pecking-reach. Kids are smart, they'll know what to do with the information. We've had chickens before but none ever so aggressive that they'd go for our face–until now. Our almost 3 year old granddaughter had her eye pecked at the other day. Scared a few years off our lives but everything's turned out okay. I highly recommend for those with small children around chickens, to purchase some protective goggles or eye wear for that split second that could leave someone blinded. I know this is an older post but thought I would weigh in. I was pecked in the eye by a neighbors 5 week old chicken on Friday afternoon. We have 7 chickens and they have never gone after our eyes. This little bugger was looking at me while I was holding him and I thought he was going to groom my hair as our girls do…uh huh. He snapped out and caught me on the eye prior to my eyelid closing. 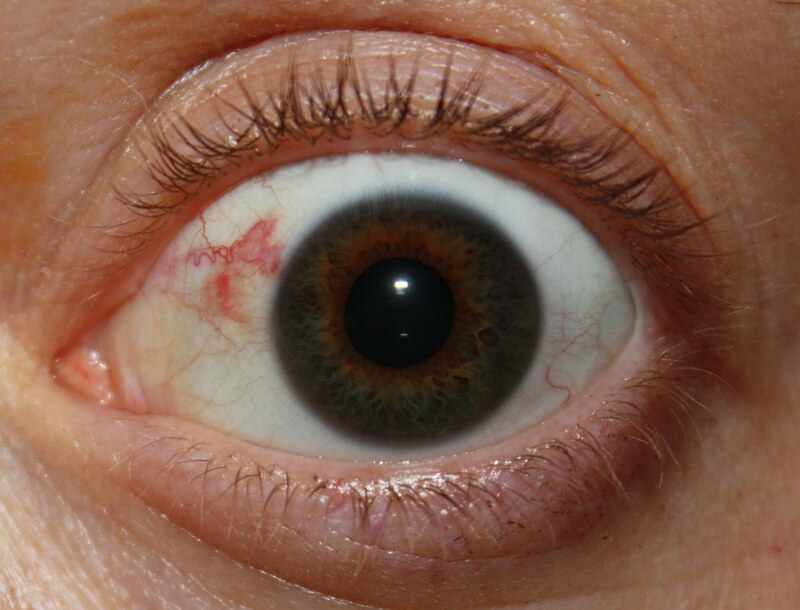 I ended up with lots of vessels broken (solid red on the inside of my eye) and blurred vision from a corneal abrasion reaching from one side to beyond the other. Crying on the floor pain. The Optometrist reports that my eye shape has changed and my vision has become worse in that eye. *shock and surprise* 😀 I have been having fun teasing our kids with my 1/2 bloody eye which is now starting to turn yellow and had hoped the discoloration would stay ’til Halloween, no luck! Yep, chickens and eyes are definitely an issue if you want to maintain decent vision. They WILL peck your eyes out!